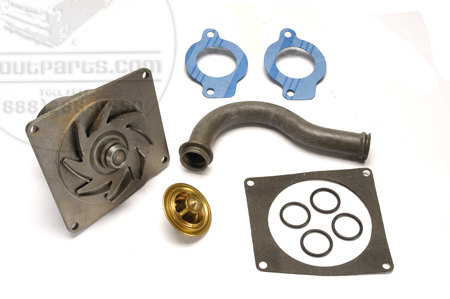 Our 4 cylinder cooling kit will help ensure proper cooling for your 152 or 196 Scout 80/800. Kit includes a new water pump, steel water pipe, water pipe o-rings, and thermostat kit including water jacket gakets. Keep that Scout on the road and running cool!